With Canadian Thanksgiving falling on the second weekend in October, we on the West Coast often find ourselves sweating it out as we eat turkey and pumpkin pie in warm, cozy sweaters while the temps outside are still summer-like. 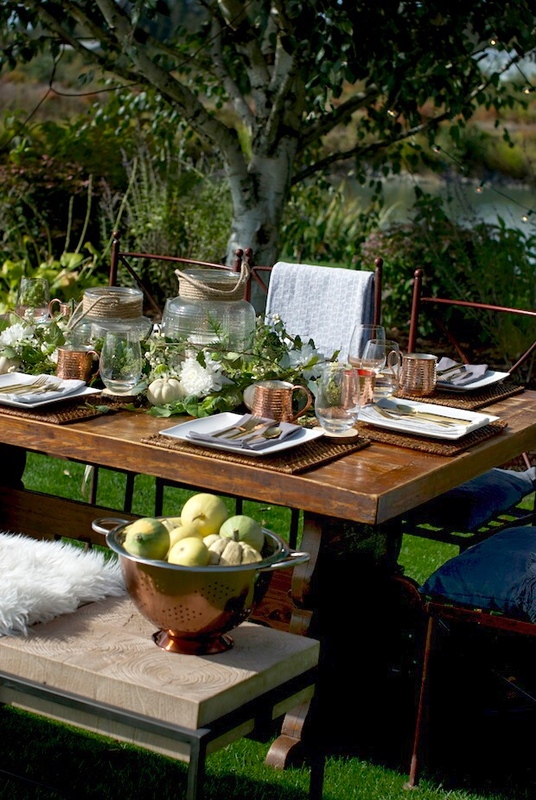 This got us thinking…why not take our Thanksgiving dinner outside? So, don’t put that patio furniture away yet. Hop on over to Lifestyle Meets Comfort for our take on Thanksgiving Al Fresco.